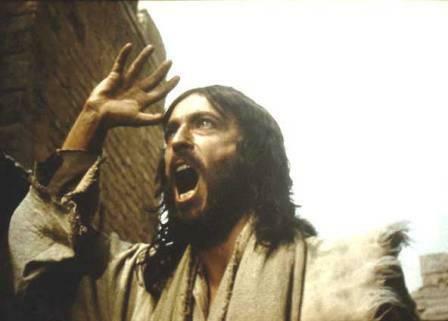 Do you know how many times Jesus got angry in the Gospels? First, He was angry with the Sadducees as he was kicking the greedy businessmen out of the temple. These men were big on religious ritual but it was all a power-play. They wanted the control, the prestige, & the money that came from swindling people as they made their sacrifices. Their religious rituals actually stopped others from worshiping God, & it made Jesus angry. Next, He was angry with the Pharisees when they refused to help an injured man on a certain day of the week because it would break from their tradition of how they worshiped God. These men claimed to love God, but it was all about padding their resume. It was a power-play to make them look holy & righteous compared to the dirty & broken lives around them. They loved tradition & they cared more about rules than human need, & it made Jesus angry. Last, He was angry with his own followers for stopping little children from coming close to Jesus. These guys had been warmly invited to be friends with Jesus, but they thought it should be an exclusive club. Only people big enough to sit still & quietly take notes while Jesus is speaking should be allowed in. For some reason they thought the church needed bouncers to keep people out instead of bellhops to invite people in. They loved being able to listen to Jesus words without distraction & they didn't like people who don't seem to have anything to contribute, & it made Jesus angry. It appears if you want Jesus to be angry all you have to do is be very religious without caring for people. Do you long for control, money, good looks, good reputation, & a nice worship service with nice-smelling, nice-looking, nice-thinking people? Do you make Jesus angry? 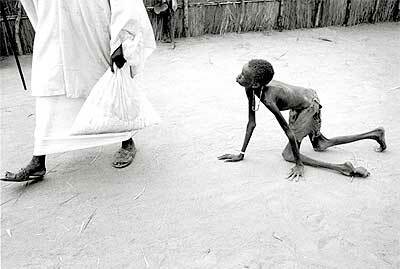 Incidentally, Jesus says it is not possible to look at a photo like this & be neutral. In the second "anger" passage above, Jesus asks the Pharisees, "Is this a day to save life or to destroy it?" What you do when you see someone in need exposes your motives & puts you in one of two categories. There is no middle ground. Wow...good word. I never, ever want to make Jesus angry. "Jesus, Keep our hearts open, humble, willing, giving, loving." I guess the best thing to ask ourselves in any situation and at any time is "What would Jesus do??" Thanks for this...the picture makes me feel sick. How does one walk by? On another note, it's very close to home to think about what goes into the "perfect" worship service at church. Since being in Haiti and doing church with the people in severe conditions my desires have changed from what it looks like, sounds like, even feels like, to what is being truly offered.